Airbus has been selected by the European Space Agency (ESA) as the prime contractor to develop EGNOS V3, the next-generation of the European Satellite Based Augmentation System (SBAS). The A350 XWB is the first Airbus aircraft to offer SBAS operations supported by Airbus’ Satellite Landing System (SLS) aircraft guidance function (certified on the A350 since EIS). 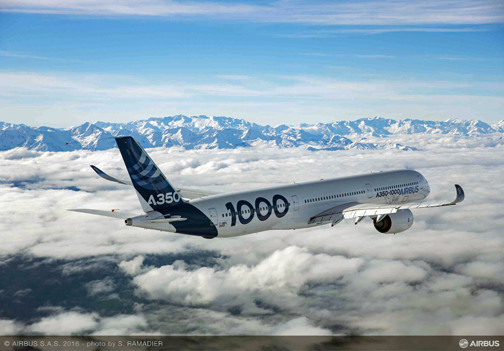 As Prime contractor, Airbus will be leading a consortium with partners from France, Germany, Spain and Switzerland. Airbus will be responsible for the development, integration, deployment and preparation of EGNOS V3 operations, the overall performance of the system and the Central Processing Facility which is the heart of the real time navigation algorithms. Nicolas Chamussy, Head of Space Systems at Airbus, said that this program is strategic for Airbus to strengthen the company's position in the navigation field. This finalized contract is the result of more than five years of intense team work and investment. With the Consortium, Airbus brings a large pool of resources and experience in Europe to cover the successful development of the critical and secure ground segment.